Do You Have This Genetic Defect? Up to 50% of People Do! 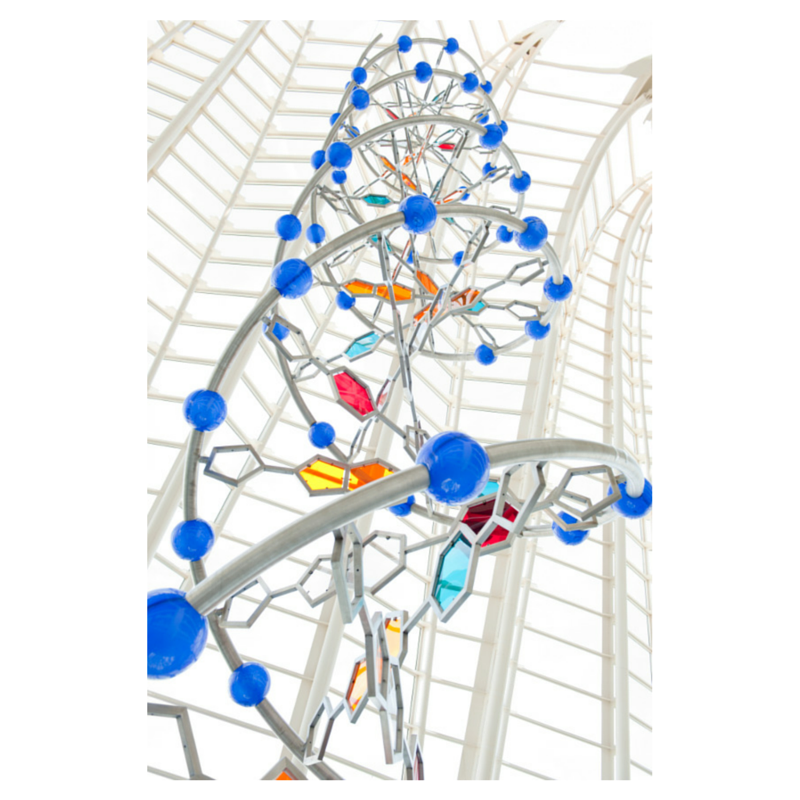 What is MTHFR and What is So Important About Methylation? 6 Facts About This Genetic Defect You Need to Know. I have it. I have a genetic defect. To be exact, it’s a MTHFR genetic mutation. No, MTHFR is not a swear word but I will admit that I was a bit dramatic when I found out I had it. Alzheimer’s, dementia and other mental illnesses run in my family! I’ve done my internet research. I’m doomed now, I thought. I’m lucky though. I happen to work with one of the very few MTHFR-certified doctors in Ohio. This is what I’ve learned. First, here is a little bit of background. The official name of the gene is methylenetetrahydrofolate reductase. “MTHFR is the gene’s official symbol.” The MTHFR genetic mutation was first discovered as a result of the human genome project. The gene produces the MTHFR enzyme and people who have this mutation have a reduced ability to process folic acid/folate (which are not the same by the way) into something their body can use. There are more than fifty known MTHFR variants; the two primary ones are C677T and A1298c. Central Nervous System disorders due to improper production of neurotransmitters causing things like depression, aggression, postpartum depression, fibromyalgia, chronic fatigue, migraines, irritable bowel syndrome, memory loss, dementia, Alzheimer’s, obsessive-compulsive disorder, bipolar disorder and schizophrenia. Cardiovascular problems due to high homocysteine levels causing heart attack, stroke blood clots, peripheral neuropathy, anemia, miscarriages and congenital birth defects. 1. First, even if you have the MTHFR defect, it may not be expressing itself and may never express itself. In other words, you could have absolutely no problems due this defect ever! A gene expresses itself when it produces a protein. In the case of a genetic defect the protein being produced is causing harm. Your doctor, after a thorough case history, exam and testing, can tell you whether any symptoms are due to the gene’s expression and what to do if the gene is expressing itself or if it is not. 2. Your doctor can order a blood test to find if you have these genetic variants. Or, you can do a full genetic profile at 23andme.com. 23andme does a great job, but if you have the defect, you must find a doctor with the proper training to help you find out what exactly it means to you. Again, it might not be expressing itself at all. 3. If you have the mutation, there is a problem with your methylation pathway. Methylation affects more than 224 different processes in our bodies. When we interrupt the methylation process, it disrupts essential bodily functions. Some of these processes are cellular repair, detoxification and neurotransmitter production and healthy immune system function. So, if the gene is expressing itself, it is critical to have the issues with your methylation pathway addressed by a properly trained doctor. 4. Treatment protocols are complex and depend on which MTHFR gene is mutated, what pathways, and the affected areas. Protocols also depend on how many and what combination of mutations you have. More on this in a future blog post. * Avoid folic acid or any vitamins that contain it. It can block the methylation pathway. If you pregnant, this will need, address this with your doctor. * Avoid antacids as they block absorption of vitamin B12 and other nutrients. * Measure homocysteine levels properly. There are a lot of companies out there that claim to test for and treat MTHFR. Be wary. Look for a doctor with proper training. * Inform your family members so that they can test for the MTHFR mutation. * Sauna or sweat somehow 1-3 times per week. * Eat food the colors of the rainbow. * Filter chlorine from your drinking water and drink 2 liters per day. * Eat small frequent meals with some form of protein limited to .7 grams per kilogram of body weight. * Address all current and future dental corrections with a biological dentist. * Do not eat, drink or store anything in plastic. * Eat grass-fed, free range, hormone and antibiotic free meats and eggs. *Supplementation may include one or more of the following: methylfolate, methylcobalamin, betaine in the form of TMG, NAC, glutathione, pyridoxal-5-phosphate, riboflavin, curcumin, mixed tocopherals (vitamin E), silymarin (milk thistle), EPA/DHA, phosphatidylcholine, nattokinase, vitamin C, vitamin D3, comprehensive multivitamin/multimineral, probiotics. Do not take any of these vitamins without consulting a doctor. 6. Finally, other than the few sources here that I’ve listed, avoid doing your own research on the internet. It will just confuse you and turn you into a crazy person. I know. I did it. Find a doctor you trust. Make sure you understand what he is telling you and follow his/her instructions. So, ready for some good news? My MTHFR gene is not expressing itself! I admit that I had to hear it a few times from my doctor before I accepted the fact that I’m as healthy as I was before I found out I had it. I admit that I went down the “rabbit hole” when I first heard the news trying to pin every little health symptom I had on my “defect.” I admit that I almost made myself sick trying to figure out if I was sick. I hope this article will help you avoid all of that. Get tested, find a trained doctor you can trust and don’t make yourself crazy on the internet! If you’ve been diagnosed with a MTHFR mutation, are you happy with your treatment? Are you feeling awesome and in a good place emotionally? Dr. Ben Lynch, www.mthfr.net. This website will give you accurate information. I have it. I have a genetic defect. To be exact, it’s a MTHFR genetic mutation. No, MTHFR is not a swear word but I will admit that I was a bit dramatic when I found out I had it. Alzheimer’s, dementia and other mental illnesses run in my family! I’ve done my internet research. I’m doomed now, I thought. I’m lucky though. I happen to work with two of the very few MTHFR-certified doctors in Ohio. This is what I’ve learned. Central Nervous System disorders due to improper production of neurotransmitters causing things like depression, aggression, post-partum depression, fibromyalgia, chronic fatigue, migraines, irritable bowel syndrome, memory loss, dementia, Alzheimer’s, obsessive-compulsive disorder, bipolar disorder and schizophrenia. 3. If you have the mutation, there is a problem with your methylation pathway. Methylation affects more than 224 different processes in our bodies. When the methylation process is interrupted, it disrupts essential bodily functions. Some of these processes are cellular repair, detoxification and neurotransmitter production and healthy immune system function. So, if the gene is expressing itself, it is critical to have the issues with your methylation pathway addressed by a properly trained doctor. * Eliminate or reduce dairy from your diet (use goat or a nut milk milk).